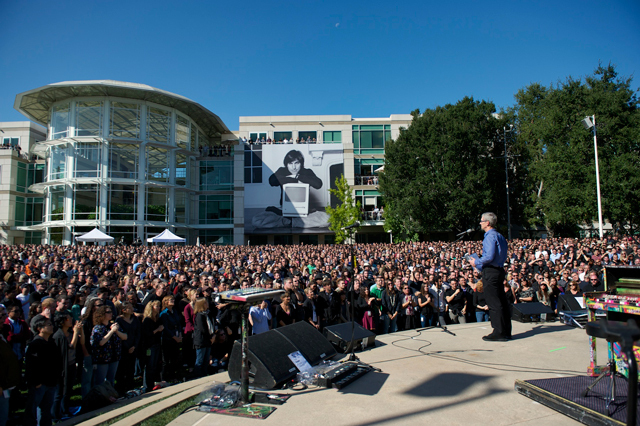 Apple today paid tribute to its founder and visionary CEO Steve Jobs with a memorial celebration in the amphitheater at its headquarters, 1 Infinite Loop, Cupertino, CA. Employees gathered by the thousands in the open-air amphitheater on campus to view a program that paid homage to Jobs. Board member Al Gore was present and singer Norah Jones, a friend of Jobs’, performed as did soft rock group Coldplay. 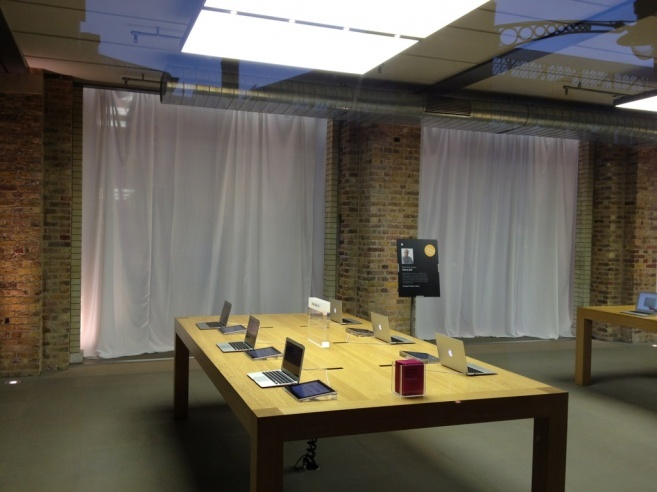 Apple Stores were closed for three hours today to allow employees to view a stream of the proceedings and their windows were covered with white sheets for privacy. They have now re-opened. The memorial apparently ended with the playing of “You’ve got a friend in me,” the Randy Newman song that was the theme of Toy Story. Toy Story being the film that made Pixar, Jobs’ third major company, a success. Keep up with all the latest Apple news every day at TNW Apple. Read next: Can UberMedia's Chime.in get you to Chime rather than Tweet?